Currently I am reading a book called Quiet, which takes a look at how much current culture places a premium on being extroverted and at he same time belittles being introverted. (See comic to right). “The evangelical culture ties together faithfulness with extroversion,” McHugh explained. “The emphasis is on community, on participating in more and more programs and events, on meeting more and more people. It’s a constant tension for many introverts that they’re not living that out." Not only does the church place a premium on being an extrovert by desiring sermons that are driven by delivery than content, but also in more subtle ways. For instance, we call the commandment of Jesus to go and make disciples as the "great commission". But the fact of the matter is Jesus had a number of commandments (love, pray, feed, visit, etc.). No where in the New Testament is the commandment to make disciples called more important (or great) than other commandments of Jesus. It might be argued that the influence of the extrovert culture puts the values on the different commandments. And in an extroverted world, there is nothing greater than going out and meet others and persuade them to join your cause. It seems to me that at least 4 of the 5 practices require an extroverted posture. Not only are these 5 practices the practices that lead to fruitfulness, it is implied that other practices are less important. Or perhaps even more tragically other practices do not lead to fruitfulness at all. And so, I would submit to you to consider 5 practices for the introvert and leave your thoughts in the comments section. 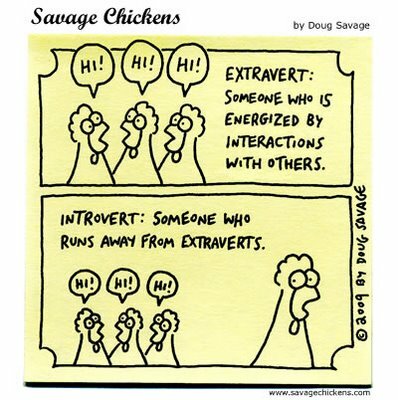 My next post will throw out my thoughts on another possible set of fruitful practices for our introverted sides.